It's the final day of the month long TJNL anniversary celebration.....I've gone back through old samples that I've made for the newsletter or shared on the yahoo group - and have come up with bunch of cards using different TJNL techniques for my final giveaway. I picked out 20 cards, so there will be 4 winners. Each winner will receive 5 random cards from the ones shown below. To enter, leave your comment on this blog post by Friday, November 2. I'll have the random number generator pick 4 winners on Saturday, November 3, and post the winners on Sunday. Hi Lisa, Love all the cards you made. And i'm the first today. What a nice thing to do! It sure is helpful to have a sample of a technique in your hand when you are trying it. I would love to be one of the lucky winners. Thank you for doing another giveaway. Four chances to win. I like those odds! Love your cards. Good morning Lisa. I've admired your creativity for years. You are one of the most talented card creators I've yet to see. I'd be delighted to win any one of your cards. The inspiration that you pass on must be mind boggling. I'm sure that I'm not the only TJ'er that is in awe. And, these are NOT just words, they come from my heart. From a "wanna be" to a "been there, done that", I thank you from the bottom of my heart for putting your creations out there for some lucky person(s) to win is so generous. I thank you. Oh what beautiful cards! I would love to own some of those. Please enter me. What a treat this would be, please enter me in the drawing ... fingers are crossed! Lisa, they are all beautiful cards!! Count me in! What gorgeous examples... I'd love to them. Thanks for all you do. These cards are just beautiful! I would be so lucky to win! Lisa, your cards always amaze and ispire me! Wow, this I have to win so as to have a sample as to how my cards ARE suppose to look. Lisa, You have been most generous in sharing all your beautiful and creative artwork. I would love to see these cards in person and would treasure them. I hope I get to be a very lucky winner. Great giveaway! You are so generous with your beautiful artwork! Wow, what a prize for the winners. Lisa - all your creations are wonderful and I would love winning some. Woo Hoo! What's better than getting 5 cards from Lisa? How fun and how talented you are, Lisa! Thanks for offering these beauties! Lisa, your cards are wonderful! Please enter me, I would LOVE to see them IRL! You share GREAT ideas and I know we all love it! Thanks for all you do. I love your artistic creativity. All the cards are great. Please enter me in the drawing. i would be delighted to be a proud recipient! Marianne wants to win...Ilove your artwork....pick me pick me. Wonderful cards - count me in! How very generous of you Lisa. Please add me to the entries! I'd love to enter and win some true artwork! WOW- 5 cards each. What a wonderful thing for you to do.Please enter me in the giveaway - receiving just one would be a treat for sure.! Thanks Lisa for sharing your wonderful cards with all of us. Love the cards!!! I'd like to enter! Perhaps today is my lucky day. Please enter me into your drawing. WOW, What a very nice gift. Please enter me. Awesome cards! Please enter me. Your cards are all great. I'd love to win. Wow...great cards. I'd love to see some samples IRL. Oohhhh, ooohhhhh, pick me Lisa!!! I'd love to be the proud owner of a Lisa Original!!! Wow, what an opportunity to receive some awesome cards!!! Lisa, you cards are wonderful; thank you for this opportunity! I love all of your artwork, I have cased your work numerous times when I have been in a creative slump. Thanks for being so kind in sharing your art. Please enter me into the card giveaway. Love your cards, it would be an honor to win some! Lisa, this is so generous. Thank you for helping to celebrate 5 wonderful years. Great cards thank you for doing this. can't believe the month is over so quick! Thanks for all the great chances to win, you are the BEST! Hello Lisa what a great gift this would be. I would love the chance to win. It's been a fun month helping Pat and her blog friends celebrate her 5th anniversay! Thanks for adding to the fun! Please enter me in your drawing for your wonderful cards! Love what you have done this past month - what a great idea!! And what great presents/gifts. Also love all the idea/techniques. These cards are wonderful...what a special treat! Count me in this tricky day! OH Lisa all the cards are gorgeous! Count me in please! I drool over your artwork all the time. I would love to be one of your winners. Count me in. Pat love your card giveaway, so generous of you..Please enter me for Friday November 2, draw. Keep em coming. Great job. 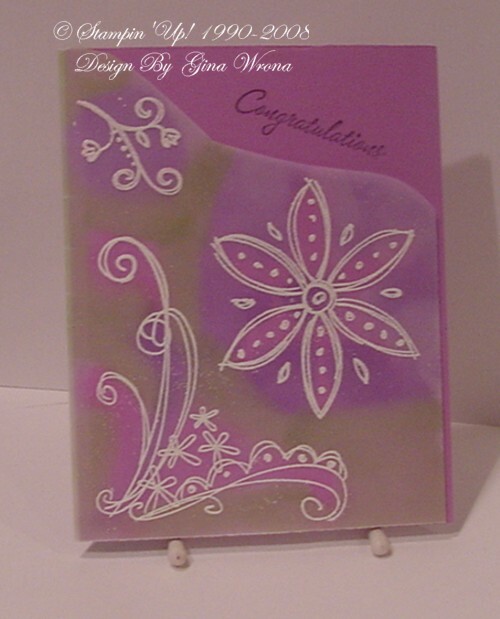 Oh Pat what an honor to have some of YOUR cards to display in my stamping room. I would LOVE To win a package of them. Please draw my number! Beautiful Cards. You are so talented, thank you for sharing your creativity. Oh, what lovely cards, I would love a chance to win some of them. Count me in on this one. Love your cards! I hope I'm one of your lucky winners! What a great anniversary month it has been. Here's to another great year. enter me one more time. Beautiful cards Lisa, always so inspirational ! Please put me in your card giveaway drawings. I would love to receive some of your lovely cards. I'd like to be entered. Thank you so much for offering the cards as a giveaway! OMG! What beautiful cards! I'd love to win! Hi Lisa, This is my first entry. You know I am abig fan of your work, so I had to give it a go. Love your blog and your cards. Oh boy Oh boy ... Friday is my birthday and nothing would make me happier than to be chosen to receive some of those gorgeous cards!!! Lisa, these cards are awesome! It would be a privilege to receive some of your work! Cards from Lisa! If only I could be so lucky! Count me in! Your cards are beautiful, I'd love to be the winner of even one. Oh my gosh! All the cards are utterly fantastic. Please enter me in this give-away! Lisa, you are so talented. I always look forward to your posts and your fabulous artwork. Thank you for offering usthese great cards. Hope to win! Great cards. Please enter me! I'm the 100th comment...should get me a win!! 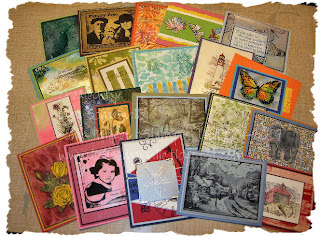 Those are splendid cards and would love to win them..
What a nice thing to do! Thank you! Lisa, thanks so much for the inspiration you give to us TJers from month to month! And, your prizes this month have been awesome. I'd be honored to have any of your cards. Put my name in please for the cards. This is great Lisa. Thanks. Awesome! Love the cards too. Hope I am one of the lucky winners. I would love to win 5 of the cards. Please enter me Saturday November 3rd. I love all the cards and can only hope I have some good luck and win. What a treasure trove to have all those beautiful cards with the techniques. Love the cards! A great chance to see examples of techniques up close. Wow, the last day of the month already! All the cardsare beautiful. Would love to win them. Another fabulous prize. I would love to be the winner of a selection of your wonderful cards. Please enter my name into the draw. Hi Pat please enter me. Count me in. Fabulous cards and nothing better than having a wonderful technique in your hand!! Please include me in this drawing. I would love to have any of the cards. Kathy R.
Looks to me that lot of folks would love to have a few of these cards, Lisa. Count me among the many!!! Thank you for all you share with us. Please add me to your list. great! i love your work. The cards are beautiful and I would love to win, it is always nice to have a sample of technique. 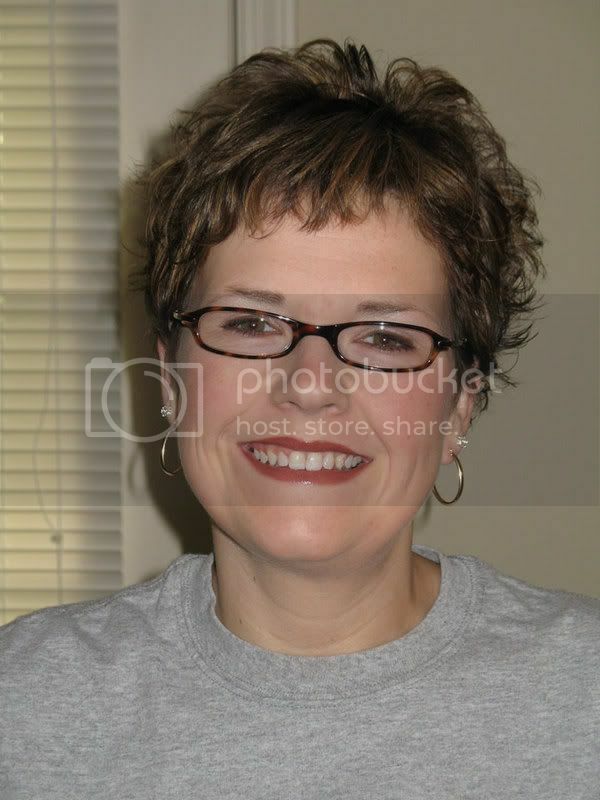 Happy Halloween Lisa! Wow I would to one of the lucky stampers to receive some of your creative cards. I would just be honored. Thanks so much for a chance. Hi Lisa - As always, your cards are awesome! Please enter me - even though I'll be on vacation when you draw the winners, it would be fun to come home to your fabulous art! Wow, I would love to get some of your cards. Lisa I love your cards. Please count me in. I would love to win your cards---they are all beautiful. this is the best. its raining here and no trick or treaters so I am blog surfing. email is under my name and profile. This sounds like a great treat vx a Halloween trick. Fantastic. Hope the gen. picks me. What a nice offer from you!!! I love your cards, and would be thrilled to be a winner, and would be thrilled for the winner even if random number generator does not pick me!!! I always admire your work! I would love to be a lucky winner! Your cards are beautiful! Please enter me in today's give-away! Count me in. This anniversary month contest is a wonderful thing! Thank you Lisa for your generosity. Ooooooooohhh! Pick me Pick me! Love your cards. Would love to win them all. Thanks for the great giveaway. please enter me. I would love to receive a few of your cards! Oh I'd love to just win one time! LOL great card that your offering and such a wonderful time to do it too! I often admire your work and would be honored to receive your sample cards in the mail. Thanks for making this offer. Lisa - It would be great to win a few of your beautiful cards! Wow, this is great. Please count me in. Love all the cards you've made and would love to have a sampling! Thanks for participating in the birthday celebrations! Please enter me in the drawing too!! Would love to win those beautiful cards. Please enter me. What a fantastic gift. Thanks for the chance to win some of your beautiful cards. Great cards, thanks for the opportunity to win! Wow - it would be so wonderful to have actual examples in my hand of all these techniques! Thanks for the opportunity to win such a valuable gift! What a fabulous prize. Would be so nice to be able to put the techniques with an example. Would be really nice to be one of the winners. All are great looking cards. Thanks for sharing. Oh, I would love to see all of those beautiful cards--how fun! Thank you for doing this for us. OHHHH! Please count me in to enter to win your gorgeous cards! wow - what beautiful cards you're offering! I'd love to be a winner. Hi Lisa, thanks for the contest and I hope I win - would love to see those cards up close and personal - will also look up some of those techniques as some were new to me. Glad I'm not too late. Your cards are beautiful! I would love to be entered into your drawing. Thanks so much for your giveaways! Wow Lisa, what a great prize. Anything you do is wonderful. I'd love to win. Just discovered your blog - amazing art work! I will back often. so busy -- not even reading all my emails over 500 to go! Wow -- what a bunch of beautiful cards. I hope I am not to late to be entered!